The Rivieras were a throwback to an earlier era of African-American vocal groups, when polished harmonies were liberally applied to sophisticated pop standards. The nostalgic combination clicked long enough to spawn three pop hits from 1958 to '60. Lead tenor Homer Dunn, a Hackensack, New Jersey product, was a big fan of The Orioles, Swallows, and Dominoes. His first group followed the trend towards bird names, calling themselves The Five Bob-O-Links. Relocating to Englewood, N.J., Dunn teamed with Andy Jones, tenor Ronald Cook, and bass Charles Allen as The Four Arts. They changed their handle to The El Rivieras once Warren Lanier took over their management. Jones' side gig shoveling snow paid dividends when one of his customers, William Fix, turned out to be The Ames Brothers' manager. Fix brought them to George Paxton and Marvin Cane's Coed Records, where The Crests were embarking on their own hit odyssey. 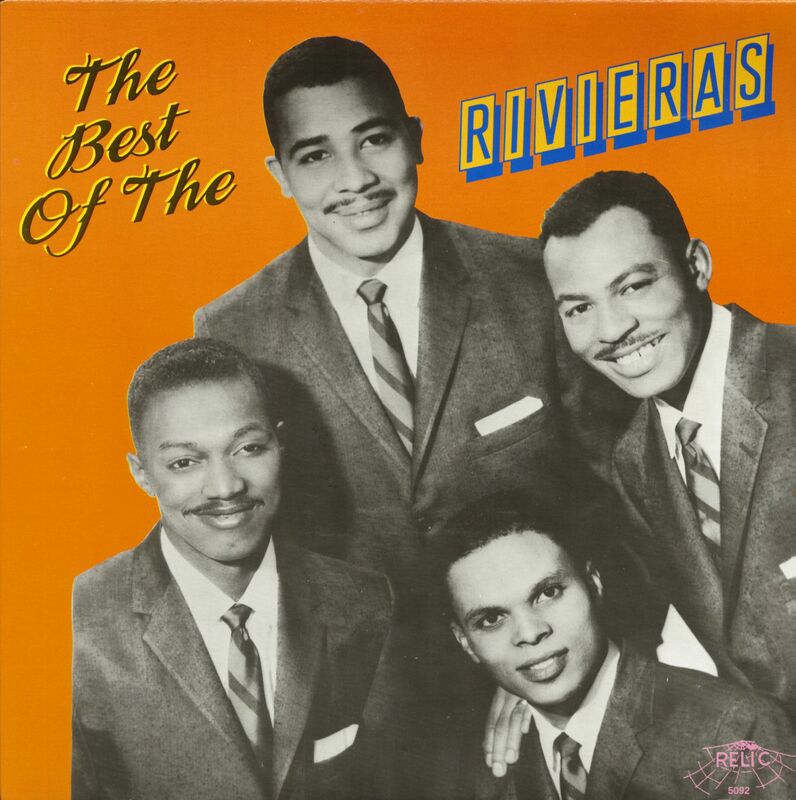 The Rivieras debuted in July of 1958 on Coed with the lilting ballad Count Every Star, a mellow outing that came attached to a peppier True Love Is Hard To Find. Count Every Star gave the group a #73 pop entry their first time out. The quartet encored with the similarly easy-paced Moonlight Serenade, a revival of a 1939 pop smash by big band leader Glenn Miller (Mitchell Parish added lyrics a little later on). 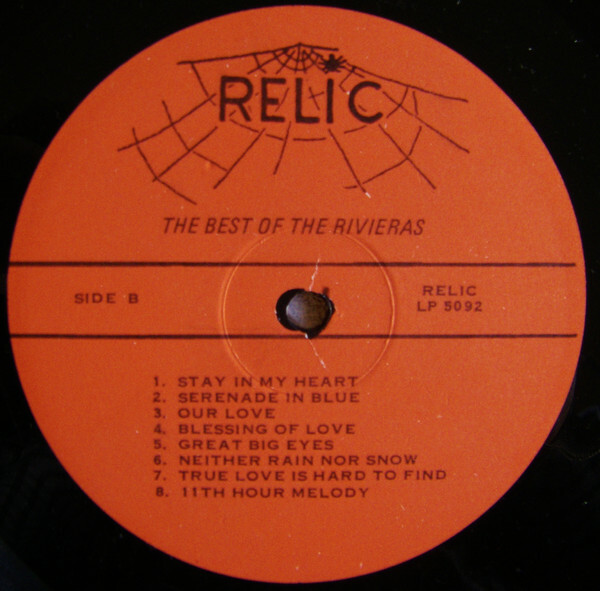 Record buyers with a taste for classier fare snapped up The Rivieras' remake after its January '59 release, propelling it to #47 pop not long thereafter. 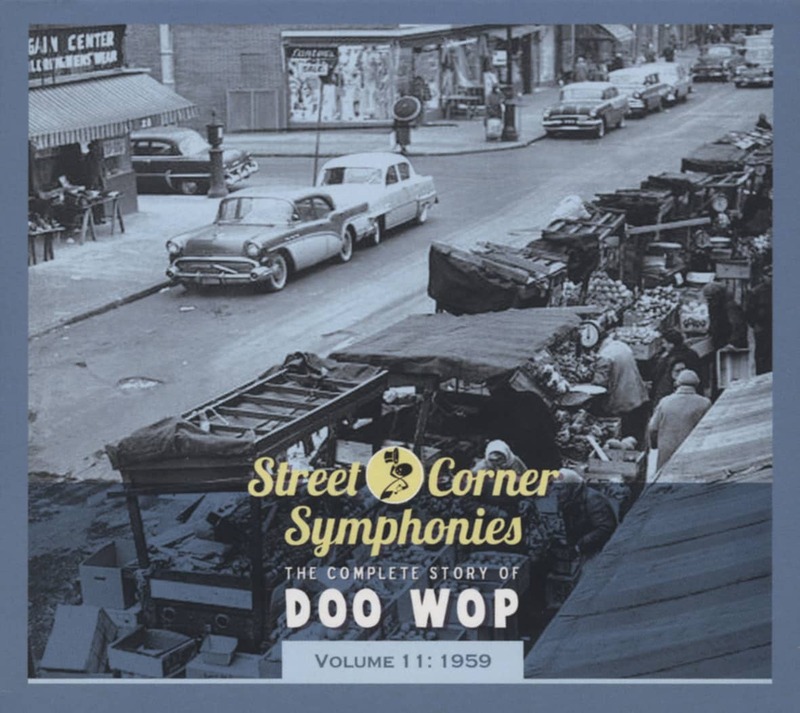 The flip, Neither Rain Nor Snow, was penned by conductor Al Semola. The violin-enriched Our Love bubbled under the Hot 100 that summer, but The Rivieras rebounded with Since I Made You Cry, a jaunty R&B-oriented outing that slipped up to #93 pop in early 1960. 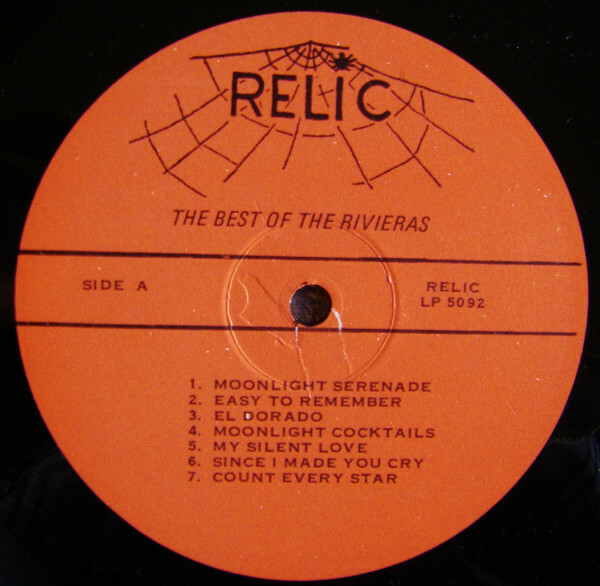 Although their lush Moonlight Cocktails was limited to 'bubbling under' status that spring, it's retroactively revered as one of The Rivieras' best singles. 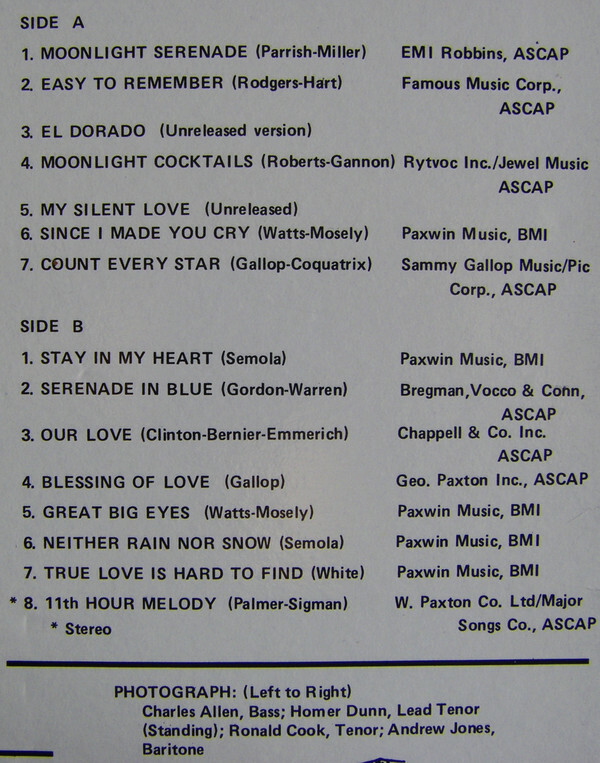 Three more releases on Coed stretched into 1961, after which the quartet quit recording. 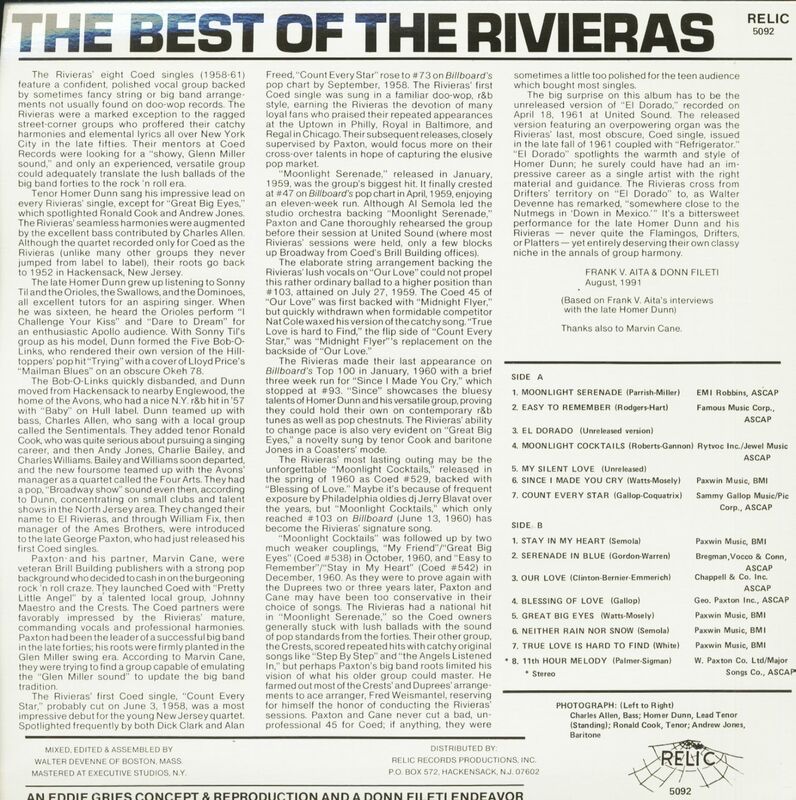 Customer evaluation for "The Best Of The Rivieras (LP)"